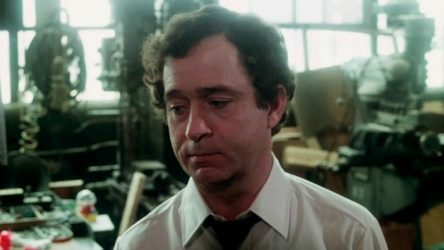 Traumatized at Christmas as a young boy, this Toy Factory worker slowly loses his mind and becomes a very creepy Christmas stalker and killer. 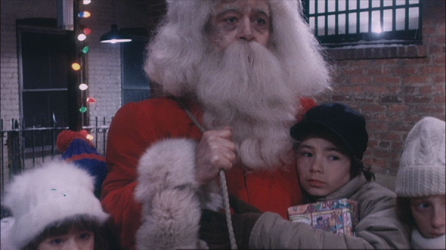 Christmas Evil (1980) was originally titled “You Better Watch Out”. [You can watch it on YouTube] If you are ever in the mood for a really depressingly wonderful Christmas Movie, look no further than Christmas Evil. 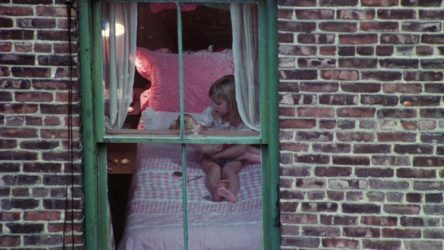 This movie was originally billed as a routine Christmas Horror/Slasher flick. Somewhere along the way, it altered course into something much more disturbing than mere killing and gore. Christmas Evil became more dark, creepy and sinister as time passed. This was a low-budget, throw away Holiday movie, but the character development by a fine actor elevated it into a Holiday Classic of incremental insanity. This was one of the strangest films I have ever seen. Harry Stadling was a disturbed and traumatized child. I mean, this kid was off the chain screwed up. There had to be much more than just his accidental viewing of Mommy kissing Santa Claus ( Santa performing oral on Mommy), or his relationship with his brother, who did not believe in Santa. We will never know for sure, but we know something is terribly wrong as we fast forward into a grown-up Harry. As an adult, Harry was a manager at a Toy Company, and also very, very obsessed with all things Christmas. His house looked like that of J.F. Sebastian in Blade Runner, only Christmas. Harry toggled between being just a wacky Christmas-Aholic, to that of a deeply disturbed creep. I mean, he spied on local children, their activities, and whether or not they had been naughty or nice. He kept logs on these activities in huge binders, with hand-written notes about these kids. Yes, this was quite creepy, but don’t worry, it was not as nefarious as it looked, and he liked kids. It was the adults that he has problems with. As well as being ridiculed and taken advantage of by his co-workers, Harry was also dismayed by the greed and uncaring attitude of his company towards his beloved Christmas. He slowly descended into despair and madness and the Christmas craziness was about to begin. Like I pointed out earlier, this was definitely not your typical holiday slasher movie. It was not even a hybrid or a dark comedy. What this movie accomplished was a unique character study of an individual who was losing his mind. Brandon Maggart brilliantly portrayed the holiday bi-polarity of a sensitive and likeable, but devastatingly disturbed individual. His kindness and compassion was only matched by his savage fury as he dealt respectively with the Nice and the Naughty. I don’t want to get into a lot of spoilers, but there were several scenes in this movie that were defining moments. Harry had constructed a Santa suit (Grinch style) and was standing in front of his shaving mirror softly humming a Christmas Carol. He realized that he had perma-glued on his Santa beard and he slowly broke down, not knowing whether to laugh or cry. He had reached to point of no return. There were a couple of other notable scenes, one where he actually tried to go down a chimney. It was pretty tense and almost heart-breaking as Harry realized that he could not do it. The other was where he was dancing with the children at the Christmas party, just moments after brutally murdering a few people. After the dance he lectured the children on not being naughty. Unreal. 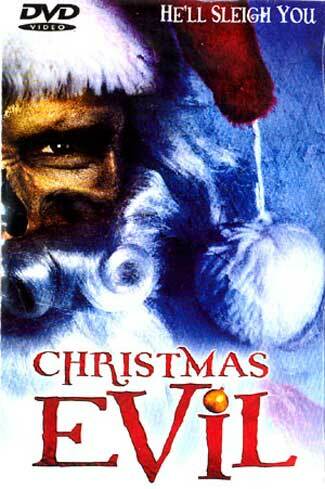 Christmas Evil was a fantastic movie considering that it was a bad movie. It was bad in that it was made on a low budget and had the burden of being an independent film. 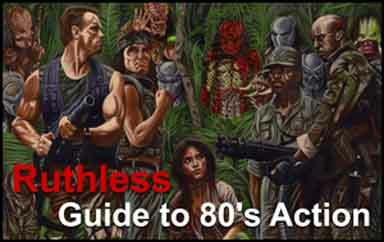 The camera work was amateurish at times and since I watched the original VHS, the colors were grainy and blurred. I understand that there is a 2006 restoration that is supposed to be magnificent. It was also a marketing nightmare since it didn’t really fit into the typical Christmas Movie genres. There simply is not genre for this movie, but these impediments could not mask the elements of this film that made it so watchable and unique. For a film of this type and budget, it was impressive. Even considering the poor visual quality of the original VHS, the cinematography was amazing and the soundtrack was creepy and perfect. The sound reminded me of the one in Carnival of Souls, an obscure but highly regarded old B&W horror classic. I mean, John Waters described Christmas Evil as “The best Christmas Movie ever made” How wrong could he be? I don’t know about it being the best, but it is one of the most unique that I have ever watched.